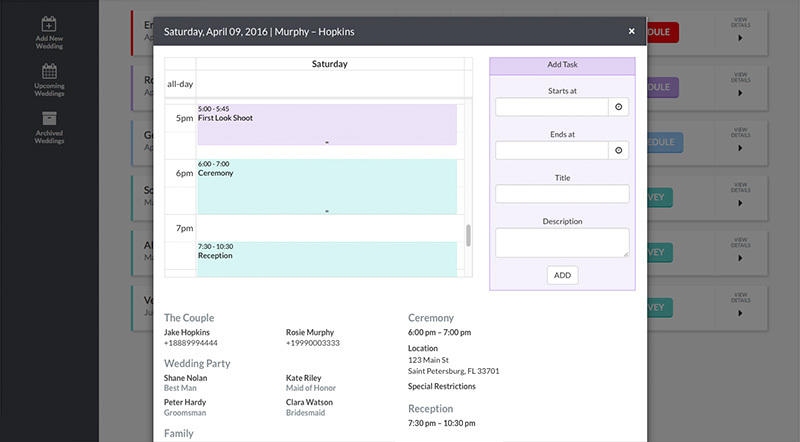 Wedding Wiz Makes Wedding Day Organization For Photographers Easy And Fast. Automatically send our questionnaire to your clients to collect all the details, locations, people and moments you need to capture their wedding story. Wedding Wiz transforms your clients' answers into a simple, visual, timeline that you can share with assistants and vendors. Now you have the freedom to create amazing images while being organized. 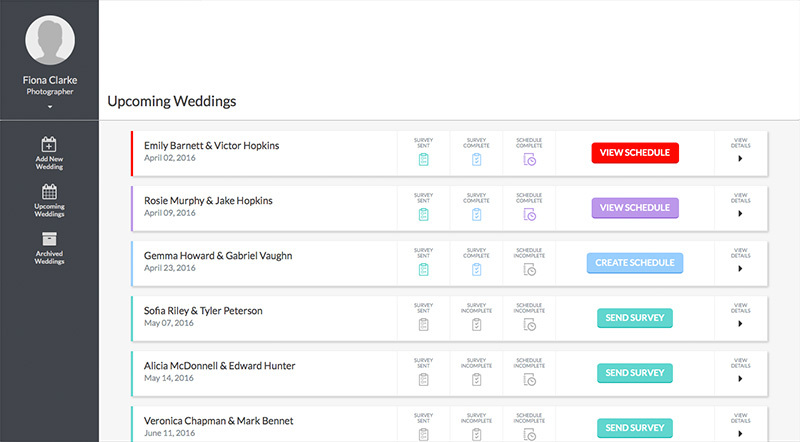 Sign up for a free 30 days, no credit card required, and see how much easier creating your wedding timelines can be!